CNN Philippines has just announced that Amelyn Veloso will anchor both of its pre- and post-debate coverage on Sunday, which will begin at 4PM and 7:30PM respectively. Sources also tell us that New Day anchor Karen Jimeno will be among the subject matter experts taking part in the coverage. There will also be a Pre-Debate at 4PM and a Post-Debate program at 7:30, both to be anchored by Amelyn Veloso. 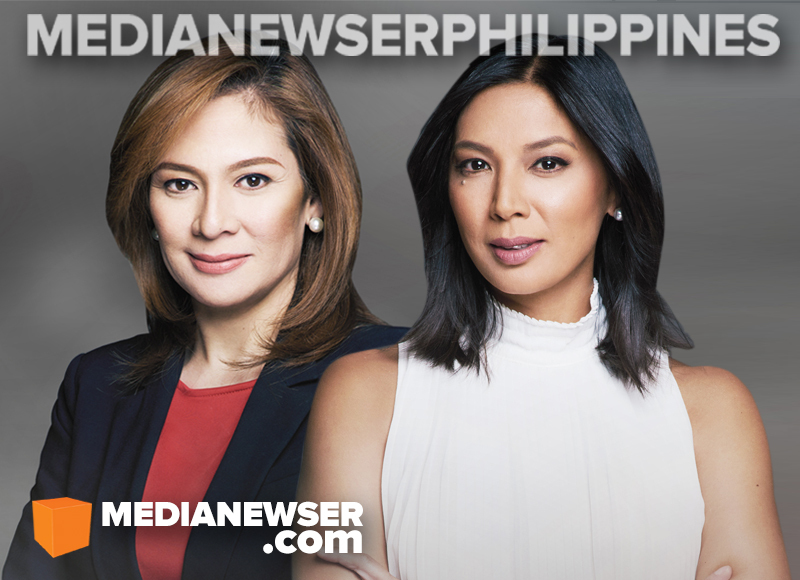 Pia Hontiveros and Pinky Webb will make up CNN Philippines' debate moderators team, the network has announced. The panel debate, which is the only debate in this election cycle for vice presidential hopefuls, will be held at the Quadricentennial Pavilion of the University of Santo Tomas on April 10, and is scheduled to air at 5PM. Like the previous debate, CNN Philippines' coverage will include a pre-debate show and a post-debate analysis. CNN Philippines, together with the Commission on Elections (Comelec) and the Kapisanan ng mga Broadkaster ng Pilipinas (KBP), and in partnership with Business Mirror and the University of Santo Tomas (UST), bring you PiliPinas 2016 Vice Presidential Debate on April 10, 2016, Sunday. The only official vice presidential debate airs live from the UST Quadricentennial Pavilion from 5:00 to 7:00 PM over free television channel 9. It also streams live through cnnphilippines.com and also on facebook.com/cnnphilippines. All six vice presidential candidates — Sen. Alan Peter Cayetano, Sen. Chiz Escudero, Sen. Gringo Honasan, Sen. Bong Bong Marcos, Camarines Sur 3rd District Rep Leni Robredo, and Sen. Antonio Trillanes IV — will present their plans and programs to address the most urgent and relevant issues of our country today. Moderating the debate will be CNN Philippines’ Anchor and Chief Correspondent Pia Hontiveros and Senior Anchor and Correspondent Pinky Webb. The audience at the UST Quadricentennial Pavilion will be composed of students, civic society groups, candidates’ supporters, and the general public. Know where each vice presidential candidate stands on certain issues. Get a chance to ask the candidates your own questions by posting them on the CNN Philippines Facebook page. And on April 10, tune in to PiliPinas 2016 Vice Presidential Debate on CNN Philippines. CNN Philippines is seen on free TV in Manila (RPN9), Cebu (RPN9), Davao (RPN9), Zamboanga (RPN5), Baguio (RPN12), and Bacolod (RPN8).On cable: Sky Cable 14 (Metro Manila), Sky Cable 6 (Cebu, Davao, Bacolod, Iloilo, and Baguio), Destiny Cable 14, Cablelink 14, Cignal 10, and Dream Cable 13. For breaking news and the latest updates, connect and engage with CNN Philippines through its website (cnnphilippines.com), and its social media pages on Facebook (facebook.com/cnnphilippines), Twitter (@cnnphilippines), and Instagram (@cnnphilippines).